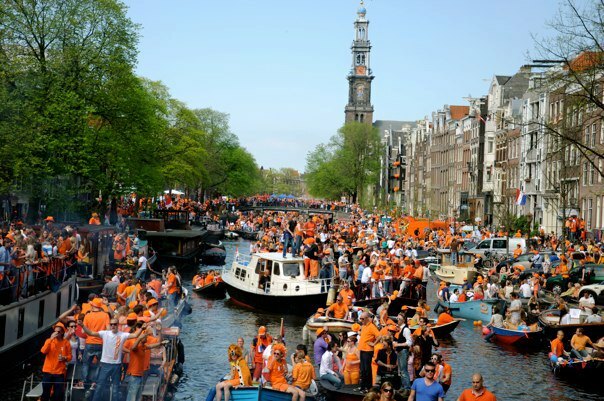 For all the Amsterdammers celebrating Koninginnedag (or Queen’s Day) – Enjoy! It was one of my favorite days last year and one of the many reasons why the Netherlands is the best. 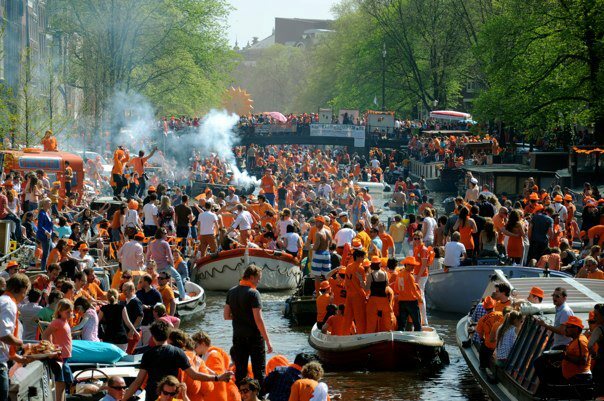 It is a national holiday where the streets and canals are filled with orange-wearing revelers eating, drinking and blasting music all day long. 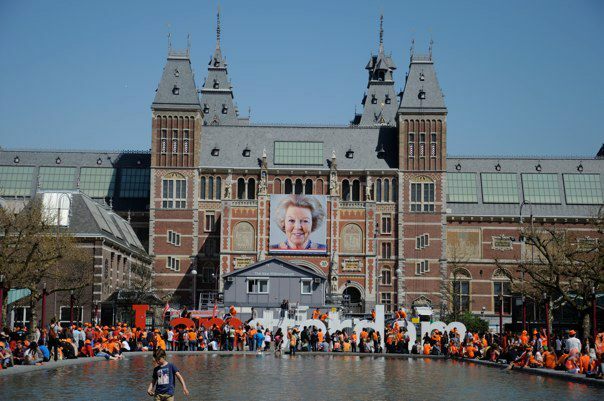 For reasons unknown (other than the Dutch royalty likely having a contract with Mother Nature herself), there is always beautiful weather on Queen’s Day. Here are some pictures I took last year. Wish I could do this again! Guess I’ll just wear my orange today to pay tribute. P.S. Here is the original photo gallery I posted last year.